SIAMO SOLO AL SECONDO ANNO DI NETFLIX IN ITALIA E GIÀ NON NE POSSIAMO FARE A MENO. IMPOSSIBILE NOMINARE TUTTE LE SERIE CHE GIÀ CI SIAMO MACINATI SULLA PIATTAFORMA, MA POSSIAMO DIRE PER CERTO QUALE SARÀ IL PROSSIMO SHOW CHE GUARDEREMO. 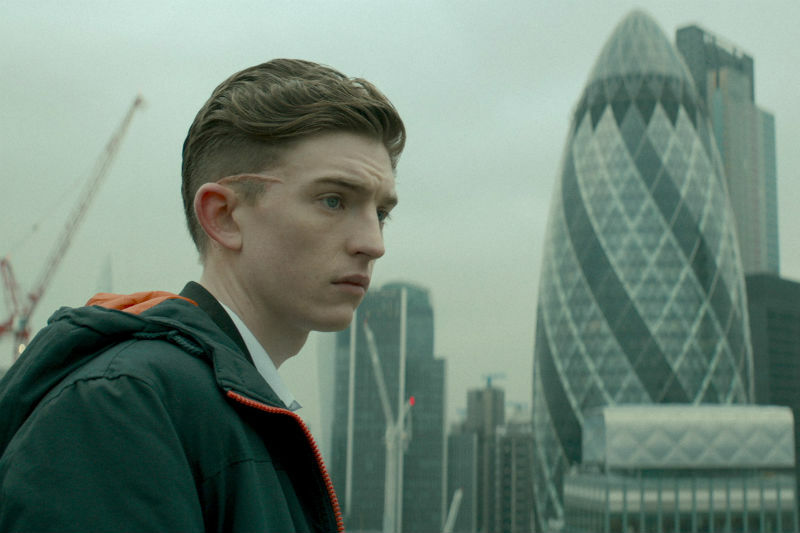 STIAMO PARLANDO DI “iBOY”, FILM GIRATO IN UK DOVE COME PROTAGONISTA C’È TOM (INTERPRETATO DA BILL MILNER), UN RAGAZZO CHE A UN CERTO PUNTO DELLA SUA NORMALISSIMA VITA SI RITROVA DEI FRAMMENTI DI CELLULARE NEL CERVELLO A CAUSA DI UN COLPO DI PISTOLA. DA QUEL MOMENTO LA SUA VITA CAMBIA PERCHÉ SCOPRE DI AVERE DEI SUPER POTERI. UN SUPER EROE NON PUÒ NON AVERE ACCANTO UNA FIGURA FEMMINILE DA SALVARE/AMARE ED ECCO INFATTI CHE AD INTERPRETARE QUESTO RUOLO TROVIAMO MAISIE WILLIAMS, CHE SE SEI UN ACCANITO DIVORATORE DI SERIE DOVRESTI GIÀ CONOSCERE VISTO CHE HA INTERPRETATO ARYA STARK NELL’ORMAI LEGGENDARIO “TRONO DI SPADE”. IL TRAILER NON È NIENTE MALE. NON È MALE NEANCHE L’IDEA DI UN SUPER EROE MODERNO CHE RICEVE DEI SUPER POTERI ATTRAVERSO UN CELLULARE, OGGETTO CHE PRATICAMENTE ABBIAMO SEMPRE IN MANO. E PENSARE CHE PETER PARKER A.K.A. L’UOMO RAGNO SE LI È RITROVATI DOPO UN MORSO DI UN RAGNO. PER VEDERLO DEVI ASPETTARE SOLO DIECI GIORNI, INFATTI “iBOY” SARÀ SU NETFLIX A PARTIRE DAL 27 GENNAIO.